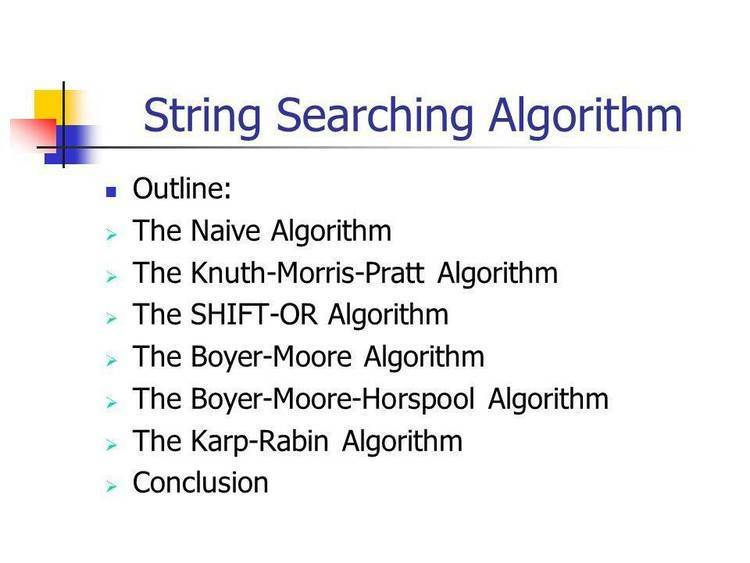 Boyer-Moore search algorithm in TP4. Boyer-Moore is an attempt to speed up the usually serial text search. Traditionally, text searches proceed from the first character onward. "text" the array of characters we're trying to find the string in. *and* StringPointer and compare String and Text. "T" and "E"
don't match, so we reset StringPointer and increment TextPointer again. Length(String), as it the final character. of compiling the look-up table.